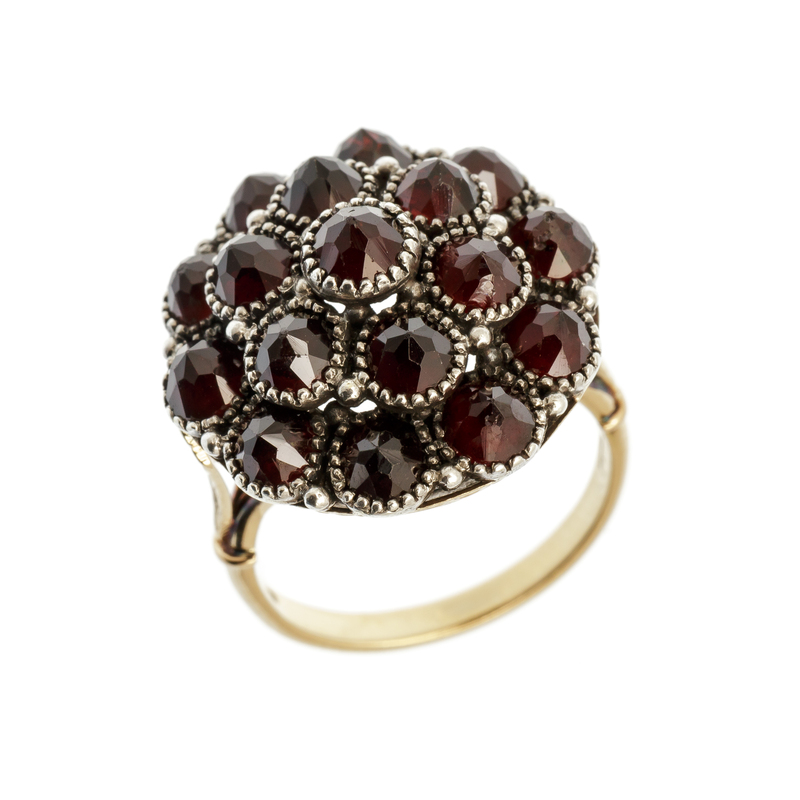 A distinctive element of the goldsmith tradition of the island, this striking anello a mora (blackberry-shaped ring) in gold and silver, typical of Cagliari, is characterised by its dome shape with many pink cut garnet bezels. 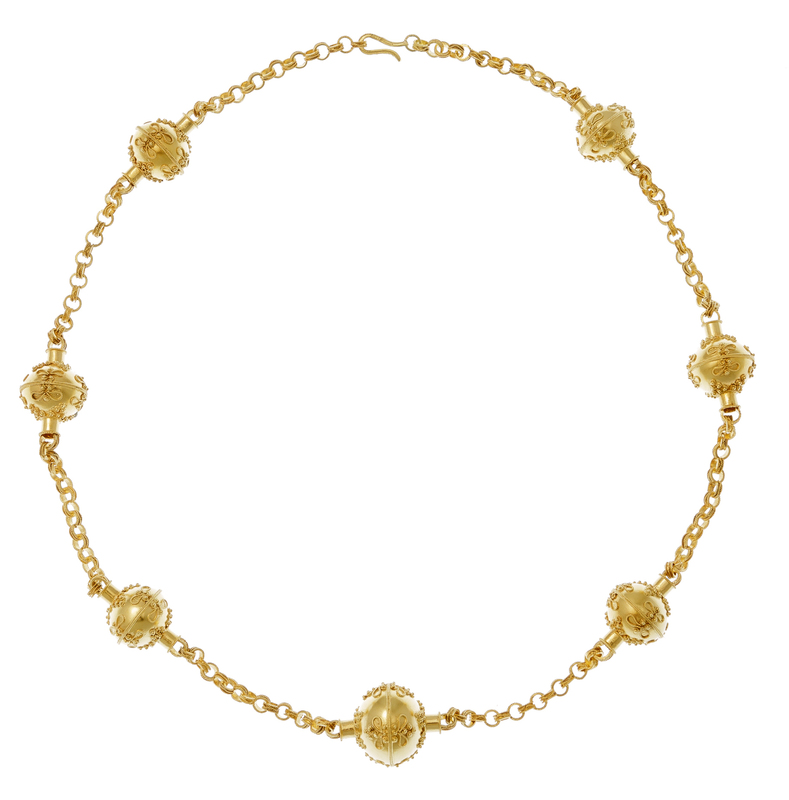 This splendid necklace reproduces the gold necklace a Cannacca, classic of the Sardinian goldsmith tradition and very common in the Campidano area around Cagliari, characterised by elegant sphere elements decorated with fine filigree and granulation. These prized and elegant bow-shaped earrings resume, with technical virtuosity and stylistic fidelity, a typical design of the goldsmith tradition of the island, in particular of the Campidano area around Cagliari. Traditional-type pendant, made with a fretworked and engraved gold plate, decorated with filigree precious elements. 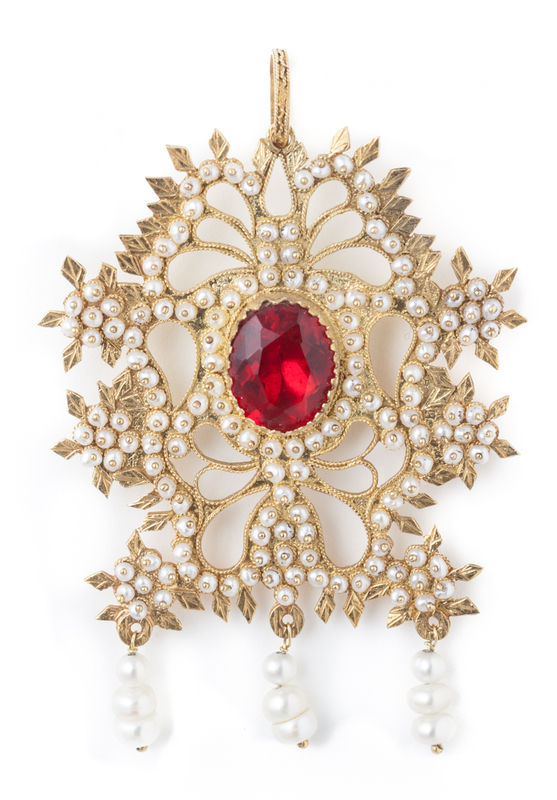 The garnet mounted on the central bezel is embellished with delicate tiny seed-pearls. Gioielleria Carta can boast a three-generation goldsmith's tradition. Founded in 1920 by Francesco Carta, it soon became a reference point for Sardinian goldsmith's art. Since the very beginning, original designs and crafting expertise have been featured in the whole production. 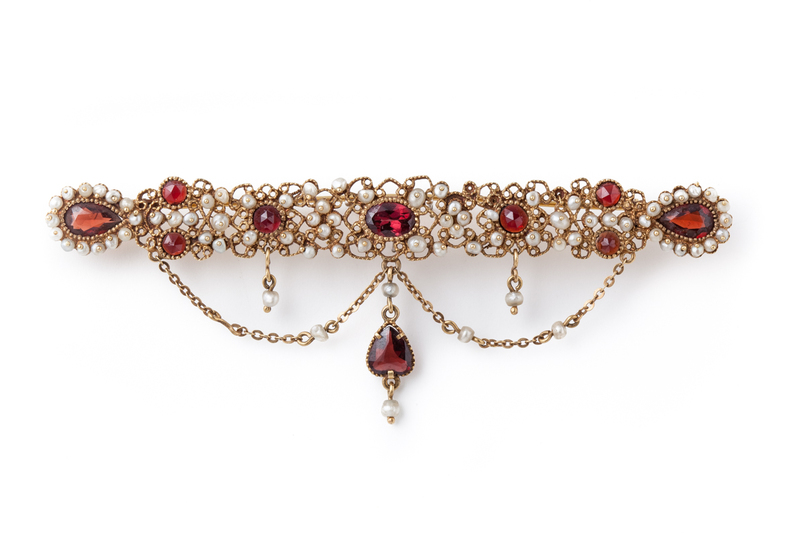 Giovanni Carta, Francesco's son, made filigree crafting the main activity of the workshop. Major works mark the history of this workshop, including the Corona di Sant'Efisio (the crown of the Patron Saint of Cagliari), a precious a golden artefact designed and crafted in 1956 and restored by his son Pierandrea in 2011. The latter is the third generation member, and he carries out his activity in the field of goldsmith's art. The works featuring great skill and expertise are often inspired by the workshop's traditional models, reinterpreted with taste and innovation, to be launched on sophisticated national and international markets. La collezione proposta si rifà alla più autentica tradizione orafa isolana e propone, oltre alla riproduzione dei gioielli tradizionali, i modelli storici della bottega. Spille, collane, orecchini, pendenti, oggetti preziosi e sofisticati realizzati interamente a mano secondo procedure antiche e sapienti. Filigree crafting, available in different forms and characteristics, is the main activity of the workshop, made following the criteria developed during the three-generation history of this workshop. Well-known for its beauty and originality, the workshop launches unique and original pieces on the Italian and foreign markets.